No it’s not Offset, Cardi B calls Vybz Kartel her favorite artist of all time. Offset shouldn’t be jealous because he gets to sleep next to her. 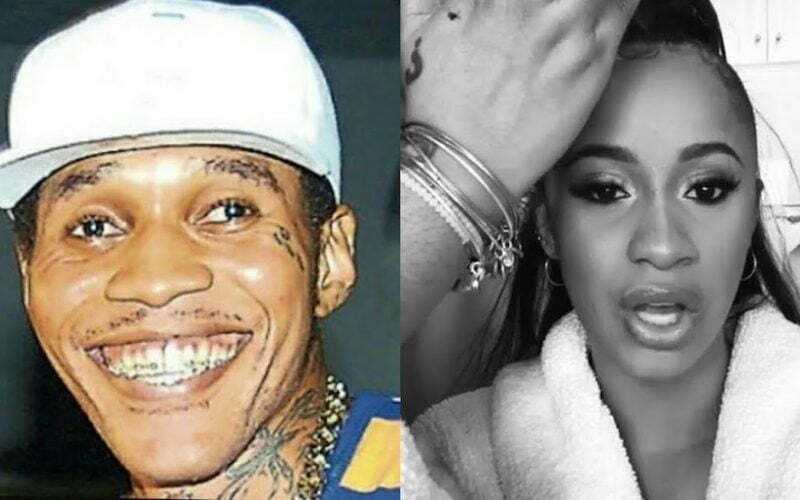 It’s no secret that Cardi B is a huge dancehall fan and Vybz Kartel represents the pinnacle of the genre so it’s no surprise either that he is her favorite artist. The “Bodak Yellow” rapper was in Jamaica last week to shoot a music video for a song with Rvssian and reggaeton artist Ozuna. There are already rumors of a collaboration with Vybz Kartel in the works and that was likely orchestrated by Rvssian. Cardi B posted a screenshot of a post Vybz Kartel made on Instagram last month giving her a big shoutout. “I can cry @vybzkartel is my favorite artist of all time Me and my friends teenagehood was all about dancing to @vybzkartel #FreeVybz,” she wrote. Bardi also regularly post videos of herself vibing Vybz Kartel songs. Cardi B is the biggest success story in hip hop this year thanks to her breakout hit single “Bodak Yellow (Money Moves).” The song peaked at No. 1 on the Billboard Hot 100 chart making her the second woman in history to top the chart with a solo record. The first female artist to achieve that success was Lauryn Hill in 1998. The former Love and Hip Hop New York star is currently working on her debut album. Vybz Kartel continues to make his mark on dancehall six years after his incarceration. Over the last two months alone, he has released enough music to make two albums and almost all of his new singles have been hits in the dancehall space. Kartel is currently awaiting his appeal trial in February next year and he is also working on an upcoming project, due early next year.